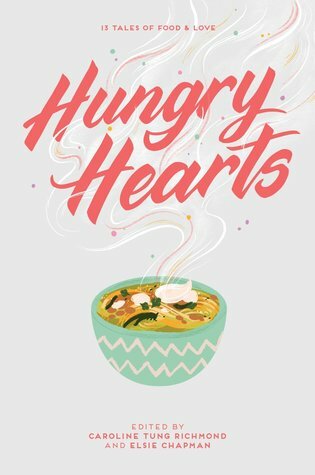 Synopsis: From some of your favorite bestselling and critically acclaimed authors—including Sandhya Menon, Anna-Marie McLemore, and Rin Chupeco—comes a collection of interconnected short stories that explore the intersection of family, culture, and food in the lives of thirteen teens. About the Author: Elsie Chapman grew up in Prince George, Canada, and has a degree in English literature from the University of British Columbia. She is the author of the YA novels Dualed, Divided, and Along the Indigo, the middle grade novel All the Ways Home, and the coeditor of A Thousand Beginnings and Endings and Hungry Hearts. She currently lives in Tokyo, Japan, with her family. You can visit her online at ElsieChapman.com. Other contributors include Sandhya Menon, S.K. Ali, Rin Chupeco, Anna-Marie McLemore, Rebecca Roanhorse, Sara Farzian, Jay Coles, Adi Alsaid, Sangu Mandanna, Phoebe North, and Karuna Riazi. My Review: First off make sure to have food near by before you start reading this one!! My goodness I was so hungry eating I mean reading this title. These interconnected stories really came together with friends, culture, and more. You just do not understand how much food plays apart in people's lives. I have to say that I could not pick just one stories that I loved the best because each one shines on its own as well as part of the whole. I have never read a collection of short stories that flowed so well. I am not one who normally reads short stories but this collection was just spot on. This really gives you that old saying of Food for Thought! !